Following the county government’s plan to establish a milk processing plant in Kabiyet ward, Mosop sub county the department of agriculture and cooperative development organized a three day sensitization programme to enlighten primary cooperative societies on the importance of joining the union. Some of the primary cooperative societies visited were: Aldai Moi and Aldai dairies in Aldai sub county, Meteitei dairies in Tindiret, Kabiyet and Lolka in Mosop, Lelchego dairies in Chesumei, 3 Ton in Emgwen and Lessos dairies in Nandi Hills sub county. While officially closing the sensitization programme, the chief officer for cooperative development Dr.Benadatte Tiony said the event was aimed at sensitizing and mobilizing primary cooperative societies into subscribing to the Union. Digitizing of Cooperatives and stepping up governance will improve management and quality leadership. 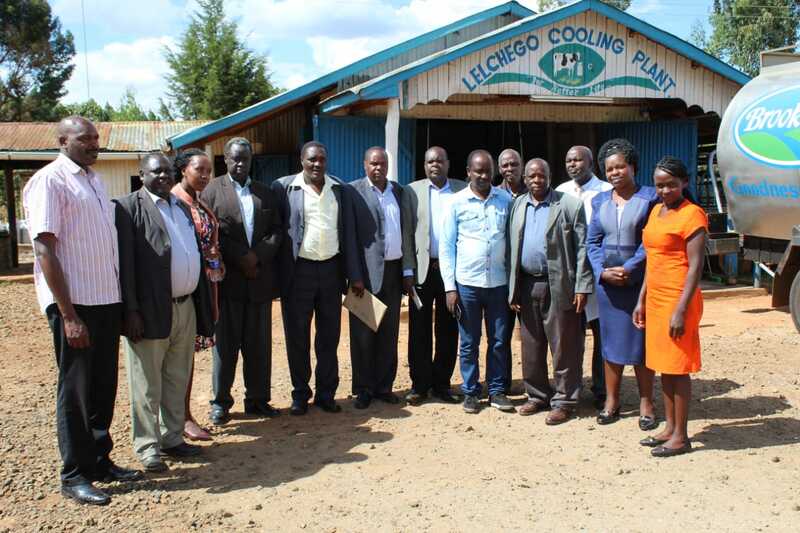 She also added that in order to meet the 100,000 litres of milk that the processing plant requires, there is need to improve production, and the county government has put up measures to see it a success. To control the spread of diseases control, the county department of Agriculture recently carried out vaccination against food and mouth disease. 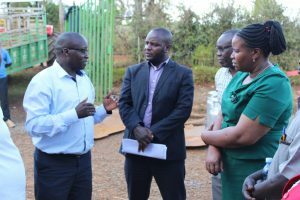 Heifer and breeding programme is another programme in place and also it has employed around 44 AI service providers each in every ward across the six sub counties. The Union coordinator Benjamin Sirma mentioned that in as much as the price of milk is currently low, bringing milk under one union will help improve prices per litre and quality control. The secretary to the union board James Letting said there is need for all primary cooperative societies to bulk milk and sell it through one point that is the processing plant. Nandi County Dairy Farmers Union (NCDFU) was registered in September, 2016. When it started, over 30 dairy cooperative societies showed interest and so far, 12 Cooperatives have registered. The department of agriculture together with the union board members organized for the mobilization exercise to have more Cooperatives register with the union. For a cooperative to be a member of the union, they have to pay registration of ten thousand and buy minimum shares of hundred thousand. Vice chairman of Lelchego dairies James Letting thanked the county government of Nandi for their continued support in terms of coolers and construction of roads, He cited that milk is being delivered on time and residents can access health care with a lot of ease since the roads and now passable.